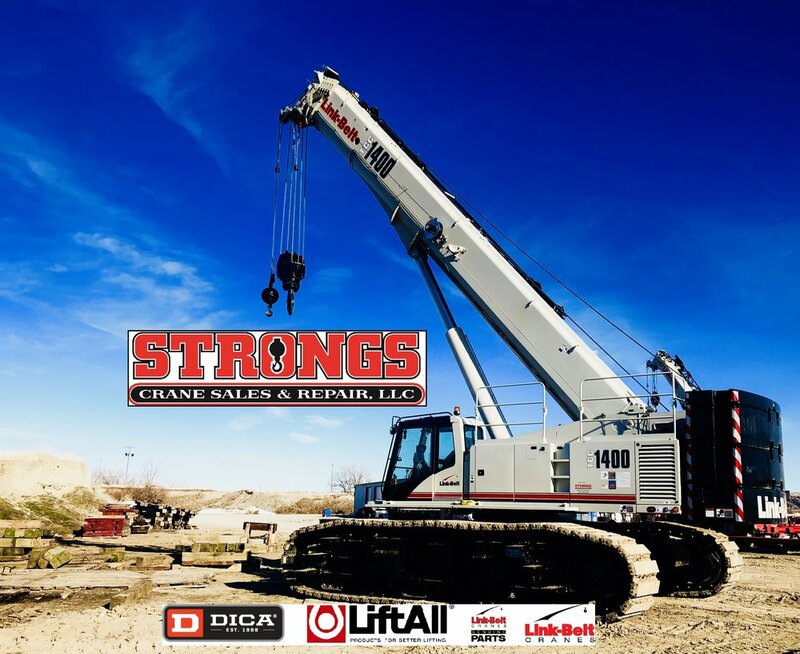 SALES — Strongs Crane Sales & Repair LLC. Strong’s Crane Service, Inc. has been a distributor for Link Belt Cranes since 1997. With the company no longer offering operated crane services, our focus now is on supplying the crane industry with Link Belt Cranes, Parts, and Dealer Services. Our Sales Department has an extensive knowledge of the Link-Belt product line. Whether its brand new machine off the factory floor or a previously owned piece of equipment, our sales staff will walk you through the purchasing process from start to finish. Please contact us for all of your sales and rental needs. Strong’s rental fleet consists exclusively of Link-Belt cranes, specializing in telescopic crawlers and rough terrain cranes. We offer the newest rental machines available, nothing in our fleet is older than 2018. Strongs Crane Sales & Repair is proud to be the first to introduce a TCC-1400 to the Montana Territory. The TCC-1400 is part of Link-Belt’s new telescopic crawler product line. We are also proud to announce the arrival of a new Link-Belt 75RT. The 75RT features the newest crane operating system PULSE 2.0 with V-Calc. This machine is equipped with a 142’ five section full power boom, 58’ bi-fold jib, full LED lighting package, and three on-board cameras. We feature a dedicated parts line for your convenience when ordering Link Belt parts, Lift All slings, and DICA outrigger pads. Link Belt now offers late ordering for customers in the Mountain time zone. If you have an emergency order and need the parts the next day, you can order as late as 6:00PM Monday thru Friday and get the parts the next day. With Link belt parts experience of 16 years, Stacey will take care of all your parts and rigging orders. Just call our dedicated parts line. Strongs Crane Sales & Repair has proudly partnered with DICA Outrigger Pads. We are now able to support our customers with a huge variety of outrigger pads from DICA. DICA is the industry leader in outrigger pad technology, blending their proprietary materials with award winning designs.